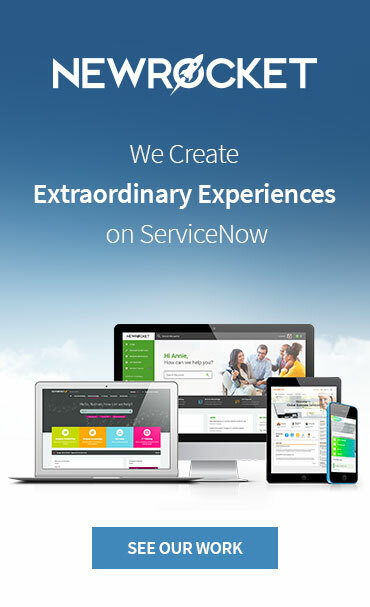 As you may know, the newest addition to the ServiceNow family “Madrid” will be released sometime this year. 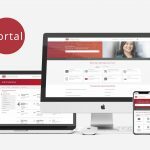 In addition to a new interface, bug fixes, and enhancements, it’s also expected to include several new updates to Service Portal. In this article, we will go over some of the changes to Service Portal as well as some of the new mobile features available in Madrid. SCSS Support in CSS Includes — By far the most exciting new feature in Service Portal is SASS support within CSS Includes. Up until now, SASS has only been available for use within the Page, Instance, and the Widget… but I would argue that the most relevant and needed place for SASS is within the CSS Includes on the theme. So, I’m very excited to finally have this feature supported in Service Portal, and it will certainly make it easier to develop turn-key themes for Service Portal. Multiple Catalog Support — Enables requesters to browse and search for items across multiple catalogs by adding these catalogs to the Catalogs related list when configuring a portal. This has been a long requested feature, but honestly… I’m not a fan of how it was implemented. It certainly checks the “multi-catalog support” checkbox, but in my opinion, this is not an intuitive implementation. 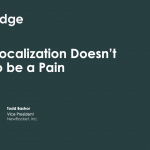 Users of the portal don’t know what a Service Catalog is, so how are they going to understand when and why to change catalogs. 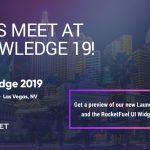 Multiple Knowledge Base Support — Enables users to browse and search for articles across multiple knowledge bases by adding these knowledge bases to the Knowledge Bases related list when configuring a portal. Similar to the multi-catalog support… it’s nice to see this finally supported, but I don’t think portal users really care to browse through multiple Knowledge Bases just to find an article. My Requests Page — Enable requesters to view open or closed requests, incidents, and tasks in Service Portal using the My Requests page. It’s nice to finally see this page finally improved, and I like the support for combining both Tasks, Incidents & Requests, but it’s also limited to just the 3 tables… it would have been nice if this called a Script Include so that additional tables could be added without cloning the widget. Request Cloning — Clone a submitted request by selecting multiple users in the Also request for list of the Additional Actions section. 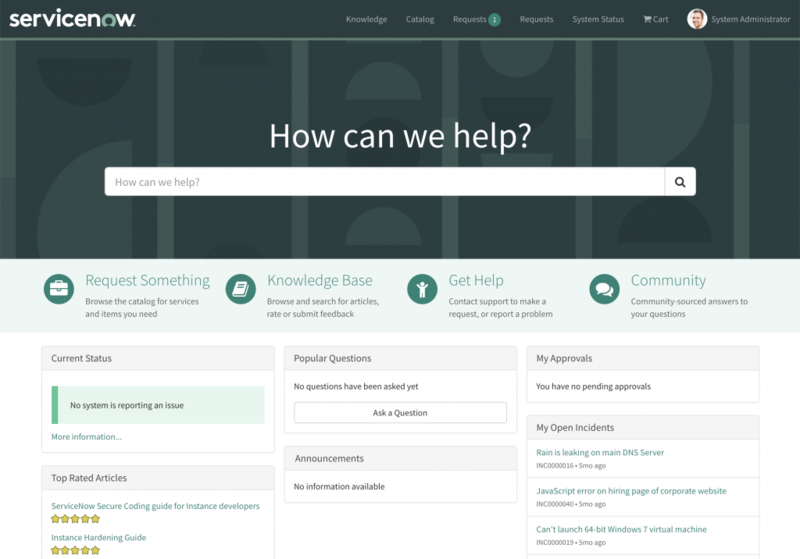 La Jolla Branding — Activates the latest ServiceNow branding, which includes WCAG-AA compliance for contrast. Not really much of a feature, but it does update the stock portal theme to reflect the new branding colors. Multifactor Authentication— Adds a two-step verification requirement in which users enter more than one set of credentials for authentication of an instance. 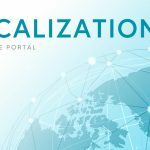 This second layer of authorization is generated by a token from the user’s mobile device using the Google Authentification mechanism as the token provider. Users can require multifactor authentication for their own login credentials. Administrators can require multifactor authentication for any user login credentials. Although not Service Portal per se, perhaps one of the most exciting features of the Madrid release is the new mobile capabilities. 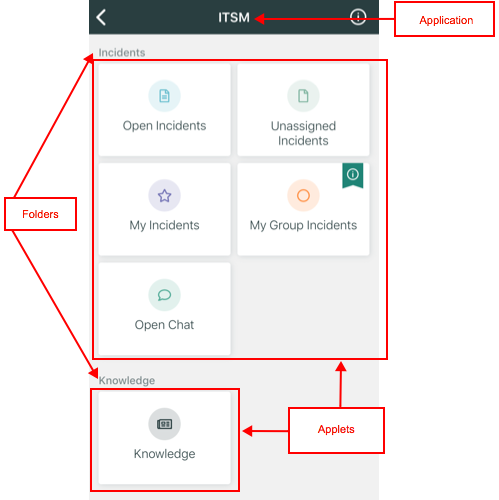 The ServiceNow Agent mobile app is a native app for both iOS and Android, and by default lets users manage incidents, collaborate, respond to approval requests, access the knowledge base, and receive push notifications. But the most exciting feature is the ability to configure and write custom applications within the app. The mobile app is built on a hierarchy and you can have several applications for the mobile app and limit user access by roles. Each application contains folders to help separate applets. 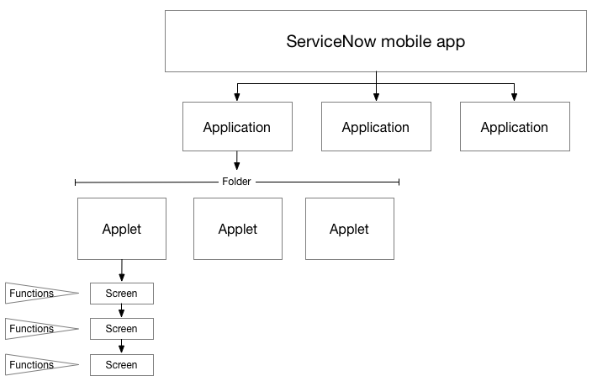 Applets are miniature applications that contain various screens with more information. Data items determine the information that appears in each applet. For example, an applet for My High Priority Incidents would have a data item that pulls information from the system to create a list of incidents that are only assigned to that user and have a priority of Critical or High. In addition to all the new features, the Madrid release includes well over 200 defect fixes for ServicePortal. Below I’ve highlighted just a few of the changes, broken down by product. Help Information for a Variable in Service Portal — The Expand help for all questions field at the catalog item level and the “Always Expanded” field at the variable level are applicable in Service Portal. Portal Settings — Define the catalog item behavior in Service Portal using portal settings. Service Catalog Enhancements for Automated Test Framework — Write automated end-to-end tests for requester flows to validate the following for Service Catalog: Order guide in Service Portal, Multi-row variable sets of a catalog item in Service Portal and Variable editor in the Now Platform. Facets for glide list field types — Configure facets for glide list field types on the Knowledge Service Portal search results page. Announcements — Announcements are active on new instances. Fonts — The Font Awesome library has been upgraded to version 4.7 and includes new icon names and syntax changes. Guided Tour Designer — With the Madrid release, you can also enable guided tours to run on Service Portal pages. 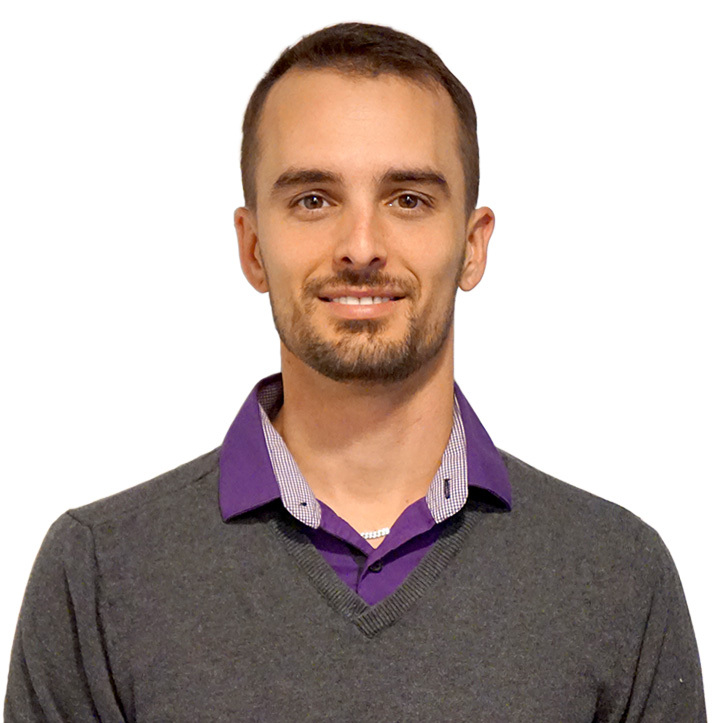 Validation Script — Validate user input in a specific field type using a validation script. Overall, the Madrid release seems to be very promising with a nice mixture of changes, upgrades, and much-needed fixes. I am definitely looking forward to this release and all it entails. 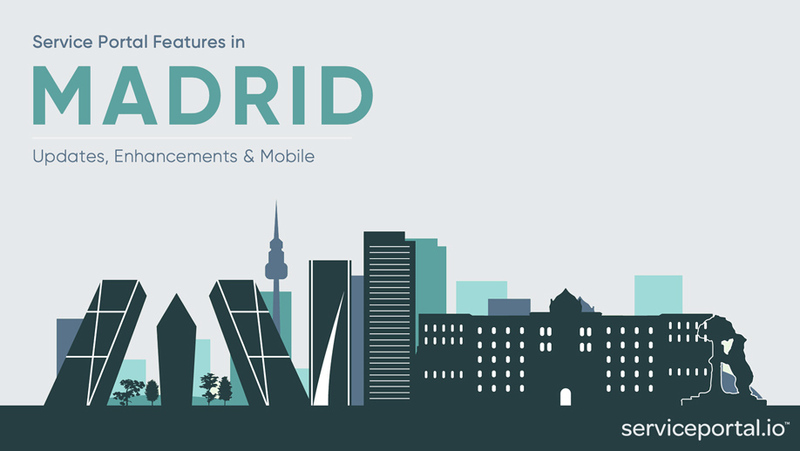 If you’d like to see the full list of the Madrid changes, check out the release notes here. 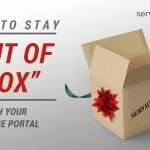 If you know of some additional features in Service Portal not mentioned here, or if there is a feature that you’re very excited about, please let me know in the comments below. I and am sure many others are thankful for your insightful detailing of the enhancements with the Madrid release. It looks as if Service Portal and the mobile interface are starting to garner a good portion of the enhancements this time around. Hi Nathan, thanks for your post, great to have some news and a summary like that. Thank you again for this summary, I was waiting for it like each previous version. Your job help us to understand the whole meaning of service now version and to focus on future migration risks. Your work is very helpful. Why is the Multifactor Authentication listed here? Is there something new since Kingston regarding this topic? Thanks for the update. I didn’t notice the SCSS support for the CSS includes. Not sure why it wasn’t mentioned in the release notes, since this is the most important one. Regarding the multiple catalogs and KB I totally agree with you. It’s already quite late and many customers have developed better ways to overcome this “obstacle”. The new thing is that is actually work if you login through the portal earlier (pre Kingston as well) it has only worked through the “normal” login (login.do). If users with this activated still didn’t need to do the two step through the portal. Awesome! Thanks Göran, great to know. Is there information on the Service Portal regarding posting communication that people can subscribe to? So instead of sending an email communication site wide, I was told through the Service Portal we will be able to post communication there instead. Lorenzo, you certainly could do this in Service Portal. There is an OOB feature called announcements that could be used for this, you could also leverage some of the Knowledge Base widgets… but I would probably just create a new table and widget specific to your requirements. Under Highlighted features > Additional reading > Request cloning, the hyperlink goes to Servicenow docs for cloning an instance, instead of the ‘Clone Requests’ area that you probably intended.